The youth are joyfully dancing around the Snow Maiden, welcoming the coming of summer. 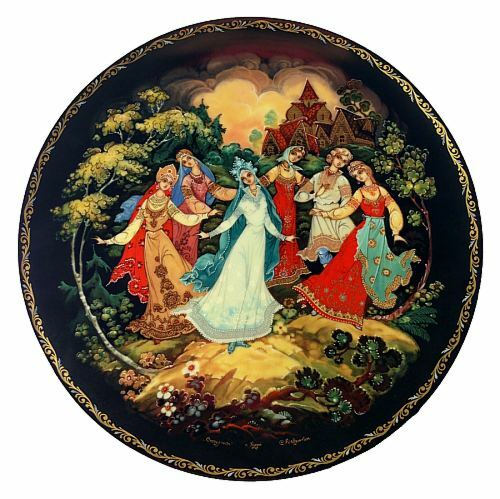 This collectible plate is based on the lacquer miniature by a Kholui artist Sergey Devyatkin, and is the fifth in the series of collectible plates depicting the tale of Snow Maiden. The plate is in excellent condition and comes with the original documents and box.